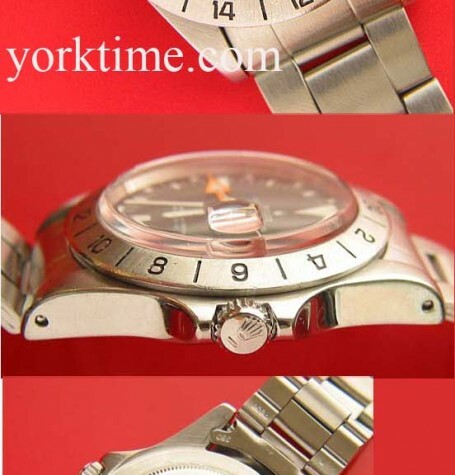 Highly sought after vintage Rolex Explorer 2, orange hand wrist watch. 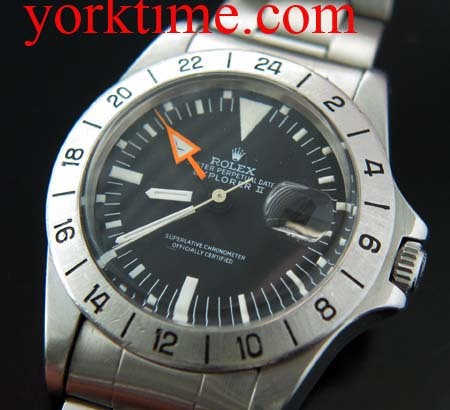 This vintage Rolex Explorer 2, model 1655, is perhaps one of the most sought after watches amongst Rolex collectors at this time. This is the famed orange hand Explorer Freccione wrist watch. 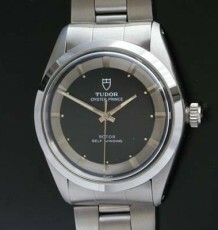 The serial number in the 3 million range dates the watch to 1970 and is considered a mark 1 model. This watch still has the highly sought after straight seconds hand and its original bezel instead of the newer replacement. This watch also has the TSwissT markings on the dial. The inside of the caseback shows a date code of 1972 which is within the scope of production and also shows the service history of the watch, it appears to have been serviced at Rolex in 1977, 1987 and 1997, prior to the last factory autorized service in 2006. 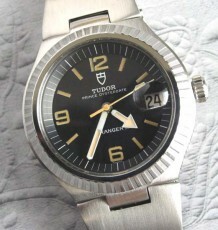 The dial is still the original model with no modification and the original hand set is still fitted. Note a small crack in the luminous of the 24 hour orange hand which I have left intact as there as it is not loose. 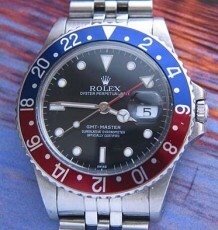 You can see from the sevice done at Rolex in 1997, the dial and hands change was refused. The watch was just serviced by a Rolex authorized repair center and comes with a 1 year Factory warranty. I specifically asked that the case not be polished and the lugs are still very thick and have maintained the original shape. 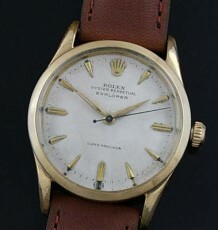 Added to this, I was able to obtain a copy of the last Rolex service performed by Rolex Canada in 1997. Two earlier appraisals from 1997 and 2006 are also included. There is no doubt about the authenticity of this piece, unlike many in the market today. There are no boxes or papers with this watch. This vintage Explorer is supplied on its original 20 mm folded Oyster bracelet reference 7836.